In August, the New Media Institute was invited to the UGA Federal Legislative Staff Retreat. 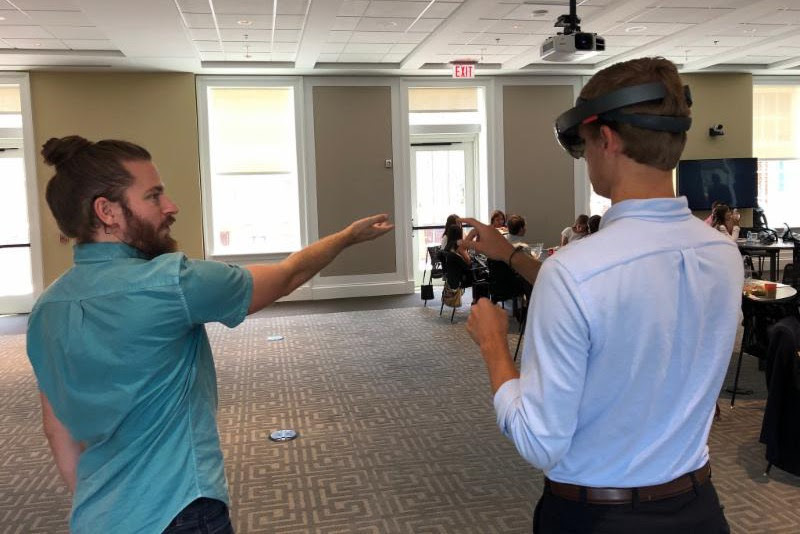 Federal staffers from the Office of Government Relations explored campus in an annual retreat dedicated to learning about some of UGA’s most innovative programs. The NMI is honored to have been invited to show guests how we’re impacting the state, the university, and its students through the New Media Certificate, Emerging Media Masters program, and unique service initiatives like TEDxUGA. Here, Chris Gerlach shows off the capstone project, Holo-in-One, built for the Microsoft HoloLens. Big thanks to the Office of Government Relations for featuring the NMI!